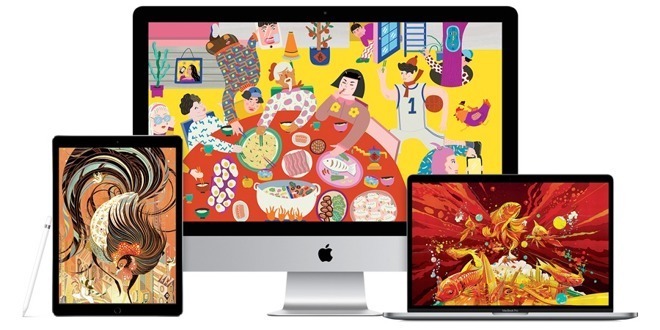 How can we tell if our love for Apple is logical or biased? That was a headline on the Mac Observer. I guess this is a question we all ask ourselves sometimes. I definitely had a very biased view of Apple once I first started using a Mac in 1989, because I could actually do things, create things and work out how things worked with a Mac, whereas in those days other computers pretty much needed a degree in rocket surgery to even print out a page (but pat yourselves on the back, you people). By the time I became editor of NZ MacGuide magazine (2002-2007) things changed for me, partly because I started to realise how difficult Apple was to deal with. Basically, Apple was (and is) very secretive and suspicious, but this was amplified through the lens of Renaissance Inc, which had the only legal NZ Apple import/distribution license in that period. Renaissance never seemed to really know where it stood with Apple, and seemed scared of losing its exclusive deal, so any secrecy and suspicion was both obfuscated and amplified. Things became a lot better once I forged a relationship with actual Apple staffers, and although they were always (and understandably) very guarded, they’re a fine bunch of interesting and creative people. Information from them has always been first class. And I can still make and do things. Despite still not having a degree in rocket surgery, I can still make music, films, magazines and all sorts of other things with my Apple gear, and my iPhone is my always-available smart assistant. I am living in the future. Windows and Android have made huge strides to offer similar attributes, largely thanks to Apple’s efforts (if even only by competing with what Apple does) but I’m so imbued with Apple operating procedures they’re like foreign languages, and every unwilling experience with them is an infuriating battle. Of course, this is the same for people coming over to the Apple world, many of whom I have personally introduced to macOS and iOS over the years either through my Mac NZ efforts, via email or in person when I present to individuals and groups. This is a relatively easy process: explain the paradigm, introduce a few concepts and off they go. So, am I still biased? Of course, but I have come to realise Apple has flaws. The child labour thing in Asia horrified me and I was very glad Apple made moves to address this (and of course, HP, Samsung, Dell etc were all using the same factories with the same conditions, they just never seemed to get caught in the searchlights). Not paying tax sickens me – I know there are New Zealanders who have similar beliefs and I think they should be allowed to not pay tax, since they consider this unjust. Fair enough, don’t pay tax – but then they should be banned from using our roads, public lighting, hospital emergency rooms, parks and schools. This tax issue is less clear with Apple – the Inc makes an absolute fortune, which it constantly trumpets, yet also chooses to avoid paying tax because it’s found a ‘legal’ loophole. And I feel abandoned on the Mac front sometimes, and critical of Apple’s direction, as should be clear from my posts under this heading. And I have to admit these things have shaken my loyalty. But hey, I still love my Apple gear. I’m still happy and productive. And that’s still the bottom line. Speed Test shows iOS 10.3 starts 6 seconds faster on iPhone 5s — iAppleBytes did some speed tests comparing iOS 10.2.1 and iOS 10.3, with its new file system. 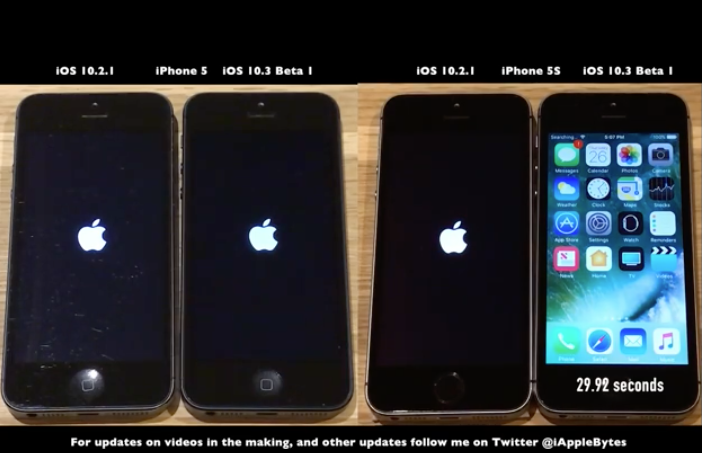 In a video, the site shows startup times on an iPhone 5 and an iPhone 5s. The device on the left of each pair is running iOS 10.2.1, the current shipping version of iOS. Redesigned Evernote 8.0.3 for iPhone and iPad brings major design revamp — Evernote is a free note-taking and note-keeping service for iOS, Mac, PCs and online. Recently, the iPhone and iPad app versions were updated to 8.0.3, which brought a totally new look and improvements to functionality. The latest revision to the Evernote app for iPhone and iPad notebook app aims to speed up the service – AppleInsider takes a few notes. Apple makes watchOS 3.2 beta with Theater Mode, SiriKit available for developers — Nearly a week after the last set of betas for macOS and iOS, Apple has made available the first beta of watchOS 3.2 for developers. Among the Luminar presets are some freebies by professional photographers. How do you want to be remembered by future generations? You can make a will to handle your physical possessions, but what about your digital life – photos, videos, email, documents, and so on? Joe Kissell’s Take Control of Your Digital Legacy PDF eBook covers many aspects of preserving such electronic ephemera as part of your digital legacy. This series of books is terrific – this edition costs US$15, which is about NZ$20.57. For Luminar users: free presets — For those of you who use the MacPhun software Luminar to make your photos look fantastic, there are some new presets available by professional photographers to streamline your photo editing workflow. Apple celebrates Chinese Lunar New Year with curated apps, Apple Store events — As part of ongoing festivities to celebrate the Chinese Lunar New Year, Apple is highlighting apps and stickers in the App Store in new curated lists, while some Apple retail stores are hosting specially themed workshops. Five of the best apps for getting started with creating art on the iPad — The iPad is an excellent artist’s tool, but before you jump into an iPad Pro with Apple Pencil, AppleInsider has five suggestions for apps to try that don’t need either to be sure that you want to make the jump from paper to digital. Insufficient Samsung security forces UK military communications project to switch to modified iPhone 7 — A program in the United Kingdom to allow members of the armed forces to discuss military secrets using a smartphone will now involve a modified iPhone 7 with hardened security, replacing insecure Android devices. Apple’s Swift ranks second in fastest-growing skill demands among freelancers — When looking to hire independents, organisations have quickly made Apple’s Swift programming language one of the most sought-after skills, freelance marketplace Upwork said on Thursday. The smoothest, most satisfying space-based flight simulator on iOS may be Hyperburner, Space-flying fanatics take note. Hyperburner lets you take a trip to a galaxy far, far away, where you can dip, dive, and barrel-roll your way through futuristic space highways. It costs NZ$4.49, US$2.99. Apple CEO Tim Cook pledges support to employees affected by President Trump’s immigration order — In the wake of executive orders from US President Donald Trump limiting immigration from a group of seven countries, Apple CEO Tim Cook has written to employees to reaffirm Apple’s pro-immigration stance, and advising affected staff will receive support from its human resources and legal teams. Apple joins partnership on Artificial Intelligence as a Founding Member — Apple’s commitment to the artificial intelligence community is even stronger now that it’s officially a founding member of the Partnership on AI. The organization was created to help shape the future of artificial intelligence technology in an open way. Second hacker who targeted celebrity Apple accounts sentenced to 9 months in prison — A Chicago man who pleaded guilty to hacking into the Apple email and cloud storage accounts of multiple celebrities in 2014 was on Thursday sentenced to nine months behind bars. Apple’s solar power plants igniting US clean energy economy — Apple is very much into solar power. The company has made a commitment to clean energy and has been building solar power plants both in the US and China. John Martellaro has looked into Apple’s efforts with solar energy and its many new installations and puts what Apple is doing in perspective with some numbers. FileMaker 2017 State of the Custom App Report: citizen developers are improving business processes — FileMaker has released the “2017 FileMaker State of the Custom App Report,” which examines how citizen developers are creating custom apps to solve real business challenges and increase job satisfaction. The global report is based on surveys of hundreds of citizen developers across North America, Japan and Europe. Apple releases public betas of macOS 10.12.4 (and iOS 10.3) — Apple has released a new public beta of macOS 10.12.4 and iOS 10.3. If you’re not already signed up for the public beta program, you can do so here. The public beta program is free, but remember: beta software is unfinished software so use with care. 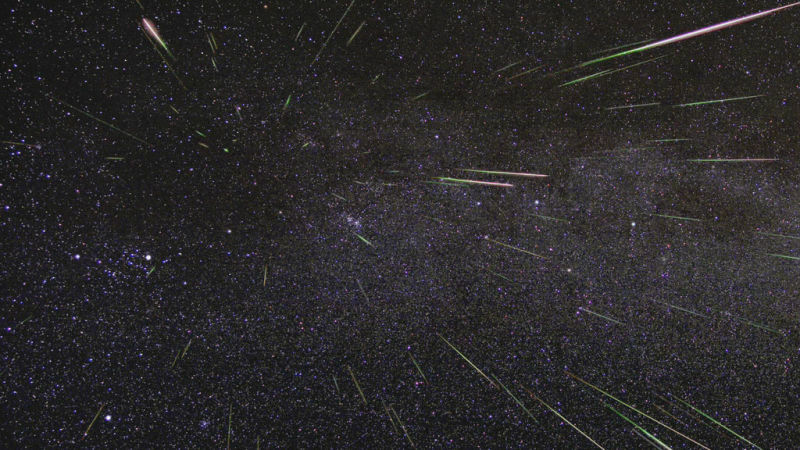 466-million-year-old meteors raining down on Earth — When the solar system was in its rebellious stage about 466 million years ago, two massive asteroids collided in the asteroid belt between Mars and Jupiter, sending tiny pieces of shrapnel flying all over the solar system. After examining bits of crystals that fell to Earth just before the collision, an international team of scientists has learned that space rocks that only enter our atmosphere rarely now were much more prevalent back in the day. And stuff from that big breakup is still raining down on us. ~ So we’re still seeing the effects of an event that took place almost 500 million years ago. In 1995, Carl Sagan predicted manufacturing jobs gone & no control over our political lives — Did Carl Sagan really warn about a time in the future when manufacturing jobs would slip away, when the average person would have virtually no control over their political lives, and when we would all cling to superstitions? Yes, Sagan did. And plenty of people are worried that Carl was talking about our era. The passage comes from Sagan’s book Demon-Haunted World: Science as a Candle in the Dark, first published in 1995. ~ Go him. I just wish he’d been wrong. Super-powerful laser — A Czech and British research team says their ‘super laser’ is capable of an average power output of over 1000 watts, making it ‘10 times as powerful‘ as other lasers of its type. ~ There have been more powerful, but that’s peak pulses. This has a powerful average output, which is the important bit. Bzzt. Australian biometric passports — Australia has begun the search for technology companies that could provide biometric systems, such as facial, iris and fingerprint recognition for border control. Head of border security John Coyne said it could be a “world first.” But critics have questioned the privacy implications of such a system. ~ Surely it’s not that hard to figure out who desperately needs asylum and safety and therefore should be turned back? Spanish scientists developed a prototype 3D printer capable of printing functional human skin — It could be used for transplant patients, as well as an ethical alternative to animal testing. The so-called bioprinter uses special ‘ink’ consisting of human cells and other biological components to reproduce the natural structure of the skin, including the external epidermis and the deeper dermis layer. ~ Surely it could add tattoos? Lamp glows 80 hours on seawater — There are plenty of legitimate reasons to prepare for the end of civilisation as we know it (and now many of them have Trump in the title), and if the world’s supply of batteries ever runs out, you’ll be glad you had this emergency LED lamp tucked away in your doomsday shelter. Hitachi Maxell’s Mizusion lamp for goes for about three days on a mix of salt and water. The ingredients work alongside oxygen in the air and a replaceable magnesium ‘power bar’ to create positive and negative electrodes, which in turn generates electricity. ~ Just make sure you have a seaside apocalypse. Coffee’s gene-fueled future — This just drew nearer, now that scientists have sequenced the genome of the Coffea arabica coffee plant – the species that makes up the vast majority of global production – and made the data public. That means the world is in for a coffee renaissance, as breeders use the information to develop new plant varieties. 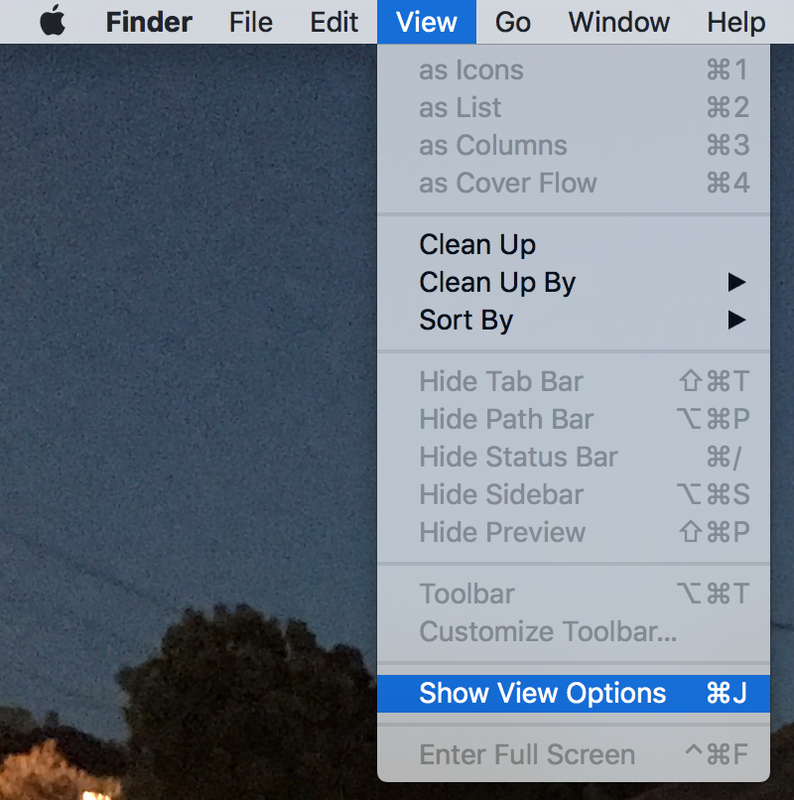 1/ Set the view in the macOS Sierra Finder — The Finder in macOS Sierra offers four ways to view items in a window: List, Columns, Cover Flow and Icon. To choose a view, click your preferred View button at top-left of any Finder window. In Icon view, each file or folder is represented by an icon (such as the Mac desktop). List view shows details about a file or folder, including its attributes. Column view provides a visual trail of where you’ve been, and displays a hierarchical view of where a file is stored. Cover Flow is a modified list view that displays a thumbnail view of a file’s contents, which is great for folders of photographs, for example. 2/ Didn’t know what those buttons were? Turn on the descriptions for them. With a Finder window on the desktop, hold down the Control key on your keyboard and click in the grey area at the top of the Finder window just to the left or right of the folders file name at op centre. From the pop-out that appears, choose Icon and Text, and all your buttons get labels (it’s worth trying this in other apps like Apple Mail and Preview). Choosing ‘Customize Toolbar’ [sic, and shown above] lets you even select which icons appear in the top area of Finder windows at all, and also get rid of any you don’t require. 3/ More view customisation — There are additional ways to customise how your items are displayed: sort items, arrange icons, and resize columns. Settings for sorting and arranging items in a folder apply until you change them. For example, if you sort your Documents folder by Date Added, the next time you view your Documents folder, it will also be sorted by Date Added. To sort items in any view, from the View menu in Finder select Show View Options. Now click the Sort By pop-up menu and choose the sort order: Date Modified, Name etc. In List view and Cover Flow, move the pointer over the column name you want to sort by, then click it. Click the column name again to reverse the sort order. 4/ Arrange — To arrange items in Finder windows in any view, click the Item Arrangement button, then choose an option, such as Date Created or Size. When arranging by name, you can keep folders (in alphabetical order) at the top of the list. Choose Finder>Preferences, click Advanced, then select the “Keep folders on top when sorting by name” checkbox. 5/ Resize columns — In List view, Column view, and Cover Flow, drag the hairline divider between the column headings at the top of the window, i.e. between Name and Date Modified. To expand a column to show all filenames in their entirety, double-click the column divider. Control-click (hold down the Control key on your keyboard and click) any column to view all columns available. Choose a column name to display or hide it (visible columns have a checkmark next to their name). More — You can change the text size of file names and, in some views, change the size of file icons. Open a Finder window, select the folder you want to change, then click a View button: Icon, List, Column, or Cover Flow. Have the folder always open in this view by selecting the ‘Always open in’ checkbox to set specific preferences for specific folders. To have subfolders also open in this view, select the ‘Browse in’ checkbox. If a subfolder opens in a different view, select the subfolder, choose View>Show View Options, then deselect the ‘Always open in’ and ‘Browse in’ checkboxes. The checkboxes must be selected for the main folder and deselected for the subfolder. You can change the icon size, grid spacing, text size, and more by choosing the Select Icon view options. Post-holiday iPhone sales fears ‘overblown,’ analyst says — Contrary to some recent reports, one analyst firm believes that adverse market conditions for iPhone sales are being given too much weight and predicts better performance than previously expected buttressed by high demand for the iPhone 7 Plus. Apple Support iPhone app reaches 22 markets with additions like France & UK — Apple’s official Support app for iPhone and iPad is now available to download in 22 regions, some additions this week being France, Germany, Spain, and the United Kingdom. Apple ships 2.5M iPhones in India during 2016, boosted by iPhone 7 release — Apple shipped 2.5 million iPhones in India during the whole of 2016 —a third of those in the fourth quarter, when the iPhone 7 launched in the country, according to Counterpoint research data released this week. iOS 10.3 will let apps change their Home screen icon at any time, no update required — Tucked away amid a flurry of new reports covering upcoming new features in Apple’s operating system updates, like Theater Mode on Apple Watch and Siri in watch apps, Night Shift on Mac and Find My AirPods on iPhone, Apple yesterday quietly announced that developers will soon be allowed to change their app’s Home screen icon programmatically, whenever they like. Night Shift mode comes to Mac in latest macOS Sierra beta — As rumored, Apple included a new Night Shift mode, borrowed from iOS, in the recently released macOS Sierra 10.12.4 beta, promising a low blue light viewing experience for night time computer work. Check out what the feature looks like and how to activate it in AppleInsider’s latest video instalment. 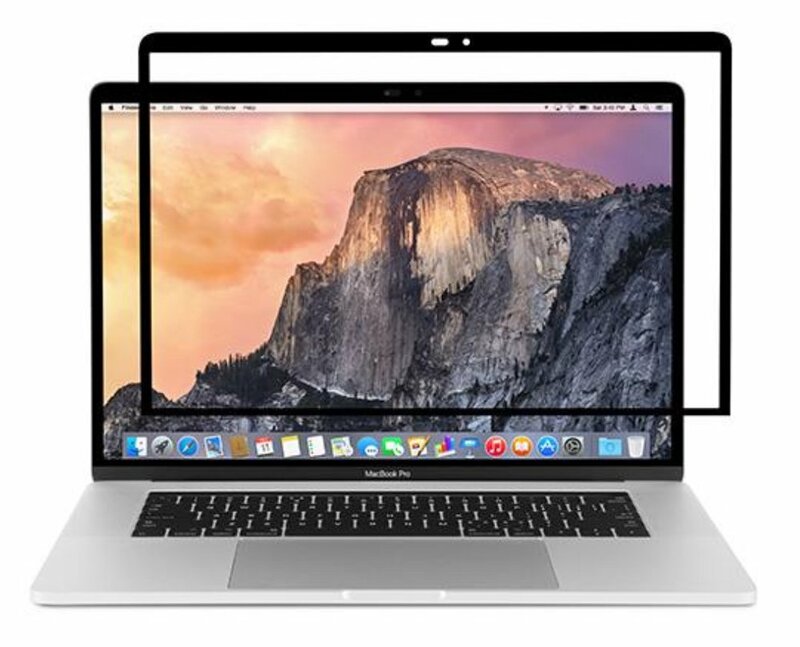 iVisor Pro is a fine accessory for protecting your new MacBook Pro’s screen — Moshi has released a new version (Pro 15) of its iVisor screen protector for the 2016 MacBook Pro. 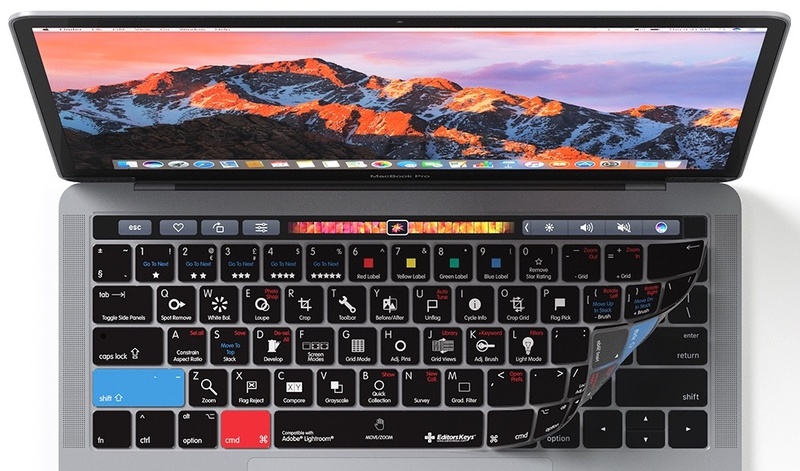 If you’ve shelled out for the pricey laptop, this US$38.95 accessory can help protect — and enhance — its display. The iVisor Pro 15 is a washable, reusable matte screen protector that reduces glare while delivering clarity with bubble-free installation. Facebook adds macOS-compatible USB security keys for cryptographic account security — As part of a security and privacy revamp, Facebook is offering users worried about their privacy and potential account compromises a new authentication procedure. This relies upon a physical security key to perform extra authentication before an account can be accessed. The social network will support security keys, USB thumb drives that plug into a Mac or PC and use the FIDO Alliance’s open Universal 2nd Factor (U2F) standard to provide cryptographic proof of identity. The keys, such as those sold by Yubico, can be registered to an account through the two factor authentication settings in the security menu. Wine reaches milestone version 2.0 release, with 64-bit support and Retina compatibility for macOS — The team behind Wine, a tool that allows Windows programs to run on macOS and other operating systems, has released version 2.0 of the open source software, with 64-bit support for macOS included as part of 6600 changes. iOS 10.3 for iPhone and iPad adds Find My AirPods feature — If you’re worried about losing your fancy new AirPods, Apple has your back — or your ear. iOS 10.3, which was released as a beta to developers on Tuesday so will be with general users soon, includes a newFind My AirPods feature to help you track down your wayward wireless earpods. Apple Pay use is on the rise — Consumer spending analytics company TXN says that Apple Pay is on the rise, based on data from its panel of over three million consumers. Analysis of credit card bills from banks that distinguish Apple Pay transactions suggest that usage of the payment method grew by slightly over 50% in the 12 months ending December 2016. Apple allowing developers to respond to user reviews in App Stores with iOS 10.3, more improvements coming — As part of feedback collected by Apple, when iOS 10.3 ships to customers the company is adding the ability for an app’s developer to respond to complaints or praise, with the response available for all to see in the App Store —and more improvements for developers are coming. 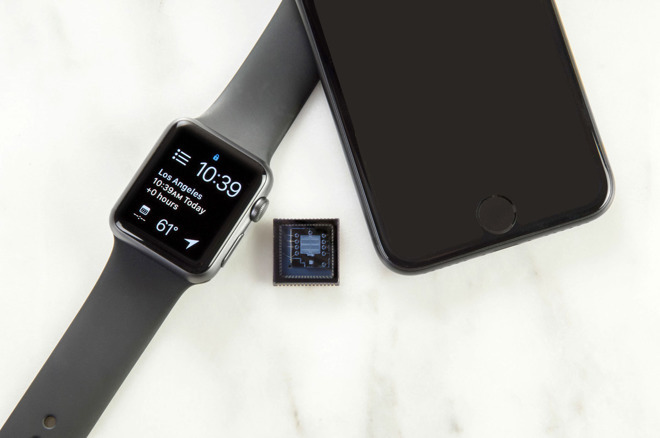 New microchip could bring portable spectroscopy to iPhone, Apple Watch — Si-Ware on Tuesday revealed an iPhone-compatible spectroscopy chip, the NeoSpectra Micro, which could potentially expand the uses of both mobile devices and wearables in areas like health, science, and nutrition. Apple Watch to get Theater Mode, more in watchOS 3.2 — Your Apple Watch is about to become far less annoying in movie theaters because the Theater Mode feature rumoured to be coming to the iPhone is actually destined for your wrist. Apple tipped off developers to that feature and more in an overview of what’s coming in watchOS 3.2. 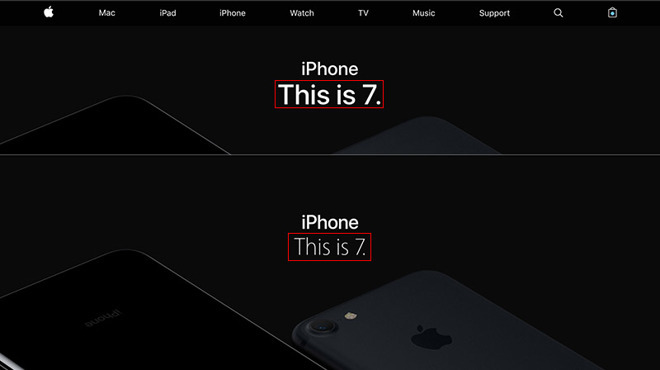 Apple.com switches web font from Myriad to San Francisco — Apple made a minor change to its website on Tuesday, integrating its in-house-developed San Francisco typeface, first introduced with Apple Watch, into most consumer-facing pages. Mac vs PC shipments in 2016 — Both Gartner and IDC reports are out for 2016 Mac and PC shipments. They are in good agreement. But the reports on the reports as well as the reports themselves are often challenging to digest. There are worldwide vs US shipments, and that’s not the same as sales for PCs. There’s year-over-year for the total year and for the 4th quarter shipments. There’s Apple’s ranking, and there’s also the issue of whether Apple lost ground against PCs. Apple has been neck-and-neck with Asus for 4th spot overall, but has fallen back into 5th after a nearly 10% decline. 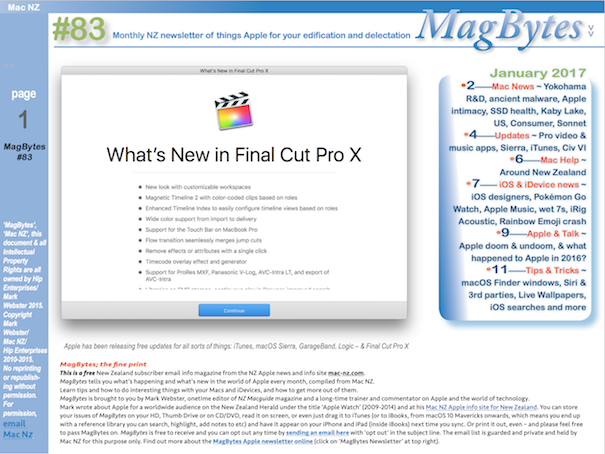 Subscription apps — MacPaw wants to make subscription-based Mac software popular by offering a bundled suite of apps for US$9.99 per month. 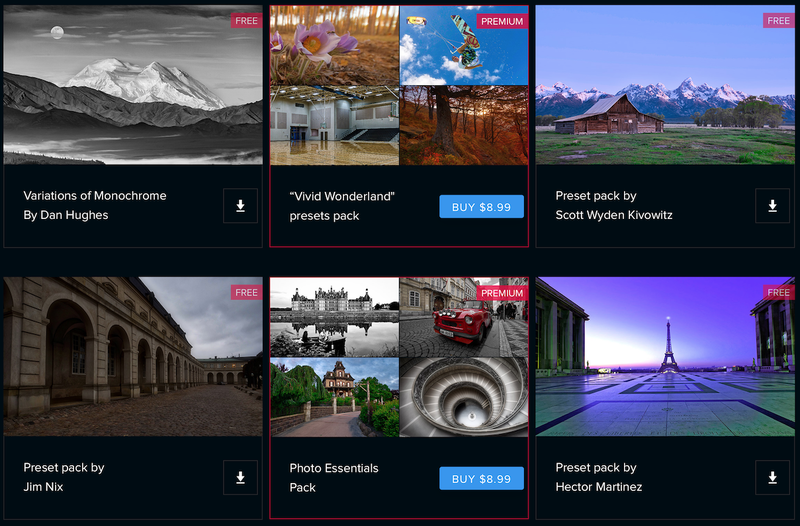 Setapp, its new subscription service, has just launched. For the flat monthly fee, subscribers get access to 61 apps at launch, including Cloud Outliner, Focused, Blogo, Pagico, RapidWeaver, Ulysses, Screens, CleanMyMac, and more. MacPaw will add more apps to the service over time, and they’ll all be available ad-free with no in-app purchases or upgrade fees. Microsoft Mac client for OneDrive — Microsoft gave users and administrators of OneDrive for Business some new features on Tuesday that they’ve requested for a while, including a new Mac client for its business-focused cloud storage service that can be deployed outside the confines of the Mac App Store. Users will also be able to sync files from SharePoint sites and OneDrive for Business shared folders to their desktops, like they have been able to for files that they own. 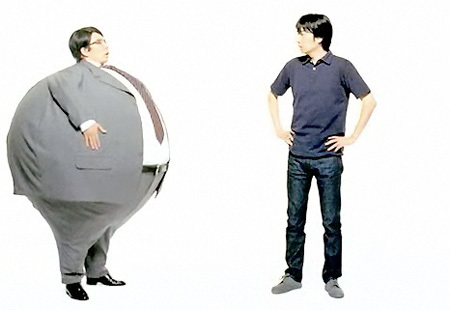 More Apple defections — Ford has become the latest car manufacturer to draw high-level employees away from Apple, with marketing executive Musa Tariq appointed as a vice president and chief brand officer of the major automobile producer. He’ll go to work there on Jan. 30. In this new role, Tariq is responsible for further building and differentiating the company’s Ford brand. Five states are considering ‘Right to Repair’ bills that would affect Apple — Lawmakers in Nebraska, Minnesota, New York, Massachusetts, and Kansas have introduced legislation that would enshrine the “Right to Repair” for electronics, which means manufacturers such as Apple will have to sell replacement parts to independent repair shops and consumers and will also have to make their diagnostic and service manuals public, reports MotherBoard. Strong iPhone 7 Plus adoption seen boosting ASP, Apple’s Dec. quarter results — Though iPhone shipments could fall under Wall Street consensus for the December quarter, Apple’s revenue from the product should be boosted by high consumer favour for Apple’s Plus models, an analyst noted on Tuesday. A recent Consumer Intelligence Research Partners survey in the US found that Plus models represented 42 percent of iPhone sales, up from 26 percent a year ago. Apple Patches 8 Security Flaws in Apple TV with tvOS 10.1.1 — Apple released tvOS 10.1.1 for Apple TV (4th Generation) on Monday. Apple’s general release notes specify only that, “This update includes general performance and stability improvements.” The Security Content document for the update details eight security flaws that were patched. You can download the update through Software Update on your Apple TV.